FOUNTAIN HILLS, Arizona — Last week at the Gentlemen’s Club Challenge, Paige Pierce entered the final round with a comfortable lead, only to see it shrink to an uncomfortable margin before taking home the win. Entering Saturday’s final round of the Memorial Championship with a six shot lead over Sarah Hokom, she did not make the same mistake twice, running away with a 5-under par 51 final round to bring her to an 8-under par 219 total and a 13-stroke victory. Hokom held on for second with a 5-over par 232 total, while Valarie Jenkins’ final round 3-under par 53 brought her up to third place with a 9-over par 236 overall. Catrina Allen’s 1-over par 57 in the final dropped her to fourth place with a 10-over par 237 total, while Jessica Weese came in fifth after a 12-over par 239 weekend. The win was Pierce’s third straight wire-to-wire victory to start the 2017 season. Pierce started her round strong with an easy birdie, instantly gaining on the rest of the card, which included Weese as a late addition after Madison Walker was scratched due to an illness. At that point, both Hokom and Allen were still within striking distance of Pierce, provided she let up on her momentum. Instead, Pierce maintained her lead, relying on accuracy to keep a clean sheet through hole 6, while Hokom and Allen combined for three bogies in that stretch. After a bogey on hole 7, Pierce never relented. She added four birdies on the back nine to keep her under par for the third round of the tournament, waltzing home to an easy win. For her fifth Memorial Championship victory, Pierce used placement to her advantage, bolstered by a 78 percent fairway hit rating. Luck was on her side a few times, as her drives on holes 3 and 18 were headed out of bounds, but bounced back in with only inches to spare. Despite having her game dialed in and having played Fountain Hills countless times, Pierce said she still found room for improvement during Saturday’s competition. She highlighted hole 3, a 294-foot par 3, as a spot where she decided to change her approach. It was that knowledge of her game, and the venue, that helped her secure the win. Despite some misfires with her drives, Hokom was rarely in danger of losing her hold on second place. She saw a 100 percent success rate with her circle 1 putts, and one of the highest percentages of the women’s field on her circle 2 putts with a 20 percent conversion rate. It was a marked change from last week’s GCC, where she struggled at close range. “I dialed in some putting a little bit [this week],” Hokom said. “I think my putting is kind of on the upswing at the moment.” Case in point: She canned a 60-foot putt on hole 16, garnering huge applause from the gallery. The race for third place was tight, but with Allen playing aggressively to move up the leaderboard, it backfired and she lost her number three spot to Jenkins, who shot the second hottest round of the day from the chase card. Coming back strong after some rough rounds early in the tournament, Jenkins carded the field’s only bogey-free round on Saturday. She said she was nervous for her first round of 2017, but channeled that in a positive direction for the final. Jenkins fought her way up the board with a new set of discs, as this was her first event playing for new sponsor Discraft. Pierce took home $1,800 for her efforts on the weekend, which found her playing an average rated round of almost 988. That performance aligns with her objectives for the season as she comes back from a difficult 2016. 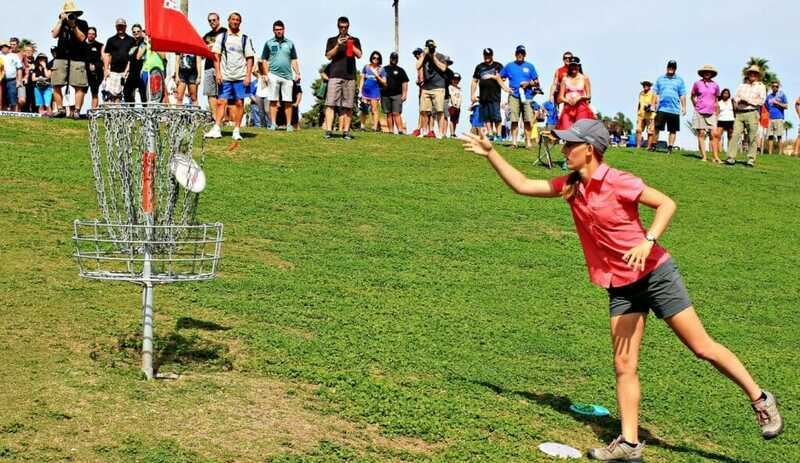 She’ll attempt to continue the trend at the Waco Annual Charity Open, the second event on this season’s Disc Golf Pro Tour, starting on March 16. Courtney Elder is a writer for Ultiworld Disc Golf. 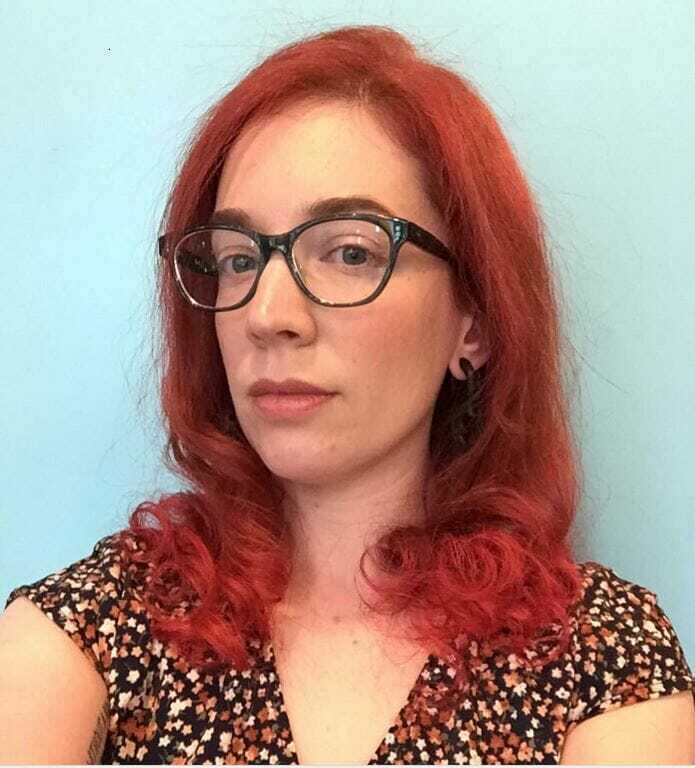 She enjoys disc golfing in the Portland area with her husband and two boys and is pretty obsessed with her cats. Her writing portfolio is available to view at Author-Eyes. Comments on "Pierce Finishes Strong To Close Out Memorial Win"